Wet Rot Treatment Cannock – Wet rot treatment and floor replacement to ground floor of property. Remove floor boarding and replace damaged joists as required. Remove all fungus from joists and sub floor. Treat timbers, sub floor and masonry with appropriate fungicidal chemicals. Our client had noticed movement in certain areas of her lounge floor for some time but never thought much of it until she noticed it getting slightly worse and then to the point in which a floor board completely broke through. This is when we were called out to access the damage and diagnose the problem. Our surveyors lifted the floorboards in certain places to unfortunately uncover a huge wet rot fungus growing through the underfloor of the property. Damp Proofing Solutions had their technicians on site immediately to tackle to issue. After the removal of the floor boarding, fungus growth and damaged joists the first thing we had to do was determine why the growth had begun, in this case it was fairly obvious as all the under floor ventilation points had been blocked leaving the sub floor space with no airflow at all creating the ideal environment for the fungus to live in. 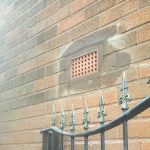 We installed ventilation points all around the property before carrying out the necessary fungicidal treatments to the timbers, sub floor and masonry. All there was left to do was to build the new floor structure, make sure it was perfectly levelled up and lay the new flooring with easy access panels for future monitoring. 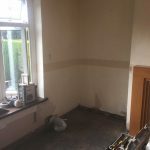 Thank you Damp Proofing Solutions for helping me through a very stressful time, it came as a big shock as I never expected the damage to have been as bad as it was but the guys acted very quickly and it was over and done with within a week of first picking up the phone. I would recommend this company to anybody. Thanks again.